60 Quick Knitted Toys: is the biggest and most diverse collection of knitted toys ever published. 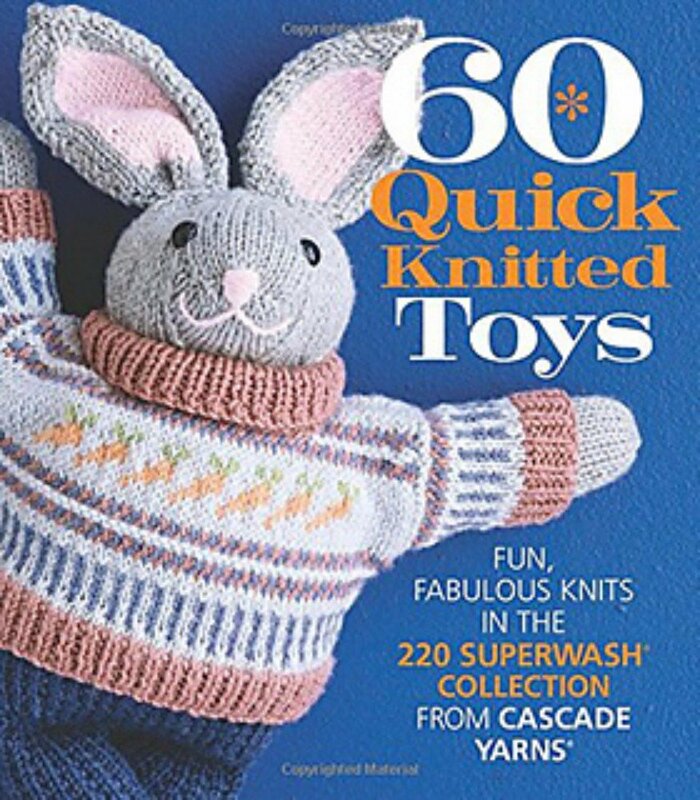 From stuffed animals to hand puppets to cuddly, themed pillows and more, this book is a treasure trove-or toy chest-bursting with inventive patterns that knitters won't be able to resist. Boys will love their knitted saw, hammer, and screwdriver set while girls will spend hours dancing with a fellow ballerina. Adults will also look forward to joining in the fun with their little ones with games such as jumbo tic-tac-toe, magnetic fishing, and penguin bowling. Stuffed hippos, owls, foxes, monkeys, and more all whip up quickly for a circle of new friends for kids of all ages. There's even a medieval set that includes a king, a queen, an adorable dragon, and a building-block castle for a true handknit masterpiece! With 60 original patterns that are as unique as the loved ones knitters endlessly stitch for, 60 Quick Knitted Toys will capture the hearts of knitters everywhere.